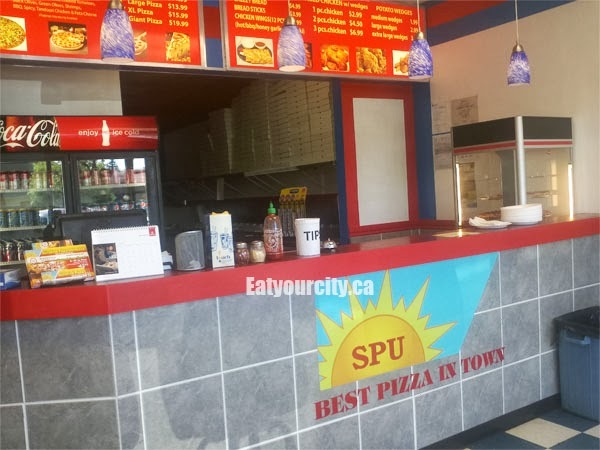 Eat Your City: Sunshine Pizza Unlimited SPU Pizza, Calgary AB - Delicious hand made halal Lebanese pizza! Sunshine Pizza Unlimited SPU Pizza, Calgary AB - Delicious hand made halal Lebanese pizza! Tucked away in a little strip mall, this little nondescript little pizza joint is easily passed by as you drive by, but we're glad we stopped in! Halal meats are served here, and the Lebanese take on the humongous pizzas are not only super tasty but easy on the wallet too! 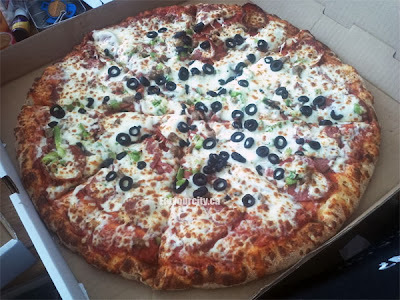 We ordered the large 14" pizza which was more than enough to feed 2 adults and 2 hungry growing teenage boys.. with leftovers! 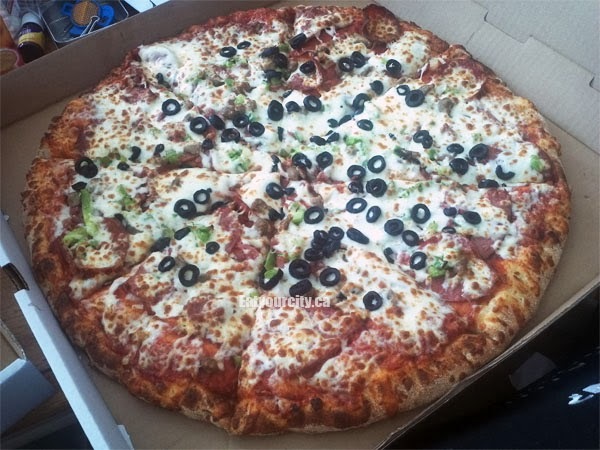 I can't imagine how much food would be left over if we went with the 16" XL or 18" Giant pizza we were originally eyeballing, but had the owner laugh and suggest a smaller pizza. And with prices lower than other pizza places and generous toppings as well as huge pizzas, I have no idea how they stay in business, but I do hope they do for a long time! 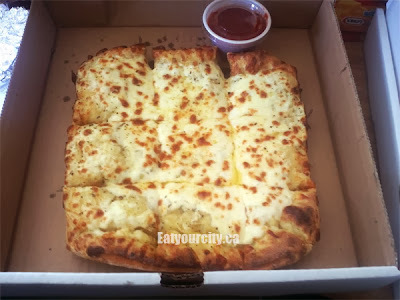 But what makes this cheesey bread so awesome and addictive is a sprinkle of Lebanese herbs (I figured out oregano only) and garlic this cheesey bread is infused with and a velvety smooth sweet tomato sauce with a good hit of garlic, oregano and basil to dunk the bread in. Man, if I didn't have to share that day, I could have happily polished off all the cheesey bread as a cheese pizza myself. 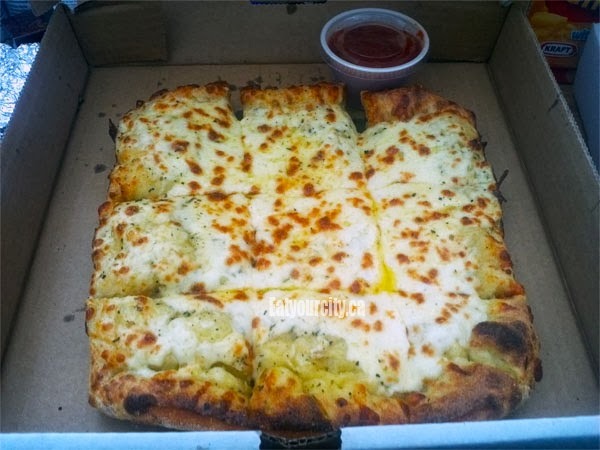 We had their namesake SunShine Pizza, which is pretty much a pizza with everything on it. All the meats were halal, and despite having pepperoni and sausage (simular to a garlic sausage) on our pizza, we were pleasantly surprised that the meats were quite lean, but still flavorful. 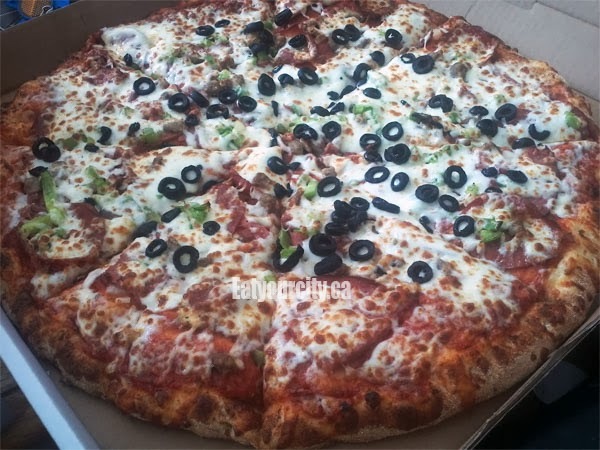 And despite the pizza overflowing with lots of tangy tomato sauce, molten cheese, pepperoni, sausage, onions, mushrooms, peppers, olives (and the kitchen sink), the medium thick pizza crust was crisp on the exterior, soft interior and had enough body to hold up all the toppings without flopping. 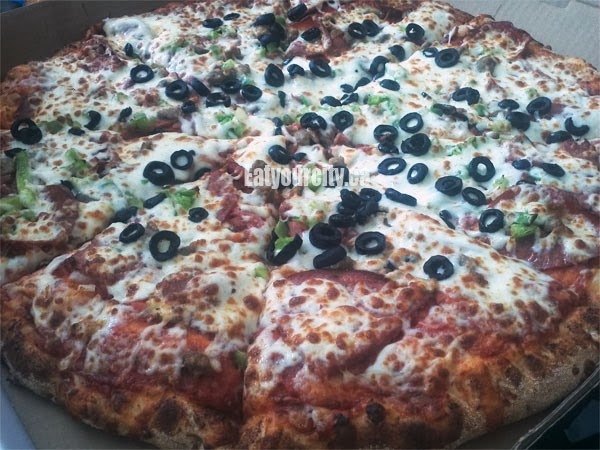 There's an option of thin crust too, but didn't have tummy room to try. So the next time you're feeling lazy and want some pretty wicked pizza that's super easy on your wallet, drop by Sunshine Pizza Unlimited and pig out on delicious pizza with a Lebanese twist. Nom!! And if you're really really lazy... they have delivery too!